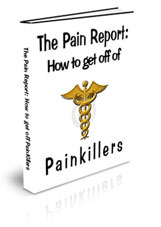 How To Get Suboxone To Help The Withdrawal From Pain Killers | How to get off Pain killers. How to get Suboxone to help with the withdrawal from Pain Killers. I have a lot of people coming by reading my blog and asking how to get suboxone. Honestly it’s not that easy, but here is how to make it easier. You can’t just go to any doctor for suboxone, because not every doctor can prescribe it for painkiller withdrawal. Only doctors with a certain certification can prescribe suboxone, and of those, they can only treat 30 patients at a time. So just going to a doctor for suboxone will not only get you nothing most times, it will alert your doctor to the fact that you have problem. So if you want to get suboxone for painkiller withdrawal treatment, you need a suboxone doctor. To find a suboxone doctor, or a doctor who can prescribe suboxone for treatment of opiate dependence, is actually very easy, if you have the resources. You can do what I did, and spend a few days or weeks searching and hunting for one in your area, if there is one, it can be hit and miss. Or you can use the resources I have put together in my report, that is only $14.97. 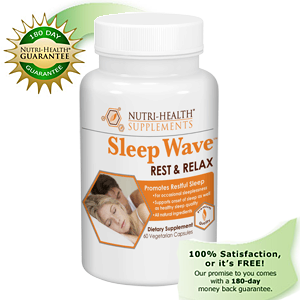 Not only will it save you hours/days/weeks of research and frustration but it will save you hundreds of dollars on your prescriptions. In my report I give you a list of resources for several free drug cards. What these cards do is give discounts on medications if you don’t have insurance. This is how to get Suboxone with sometimes up to 75% off the regular price, it all depends on the pharmacy you go to and the card. There’s no application to fill out, not questions to answer, you just go to these sites I list, print the card out and go to your pharmacy. However to save the MOST money I give you several things to do before going to the pharmacy, so you get the most for your money time after time. So here’s how to get suboxone, easily: Buy my report, it’s only $14.97, go to the resources listed to find the nearest suboxone doctor. Call the doctors office and ask specific questions outlined in my report. These questions are there to ask the doctors office, to help save you money and make sure there are no hidden fee’s. Once you feel you have found the doctor to help you, then make an appointment. You go to your appointment, either that day or the following day, it’s usually very quick to get you in. When you call a doctor who can prescribe suboxone they usually know it’s for someone trying to get off of painkillers, and they are there to help you, really. It really is that simple and easy, especially if you have the resources to help you along the way, outlined for you. That is what my report is, a road map to help you get in the suboxone treatment program and on your way to a better life. Really. One more thing I would like to add. Once you get on suboxone and off the painkillers, which is the first day you start(it’s that fast), you will be on suboxone for a little bit of time. Long enough to help you stabilize and get your bearings and some counseling in drug addiction. It’s all outlined in my report, all of this stuff. After you have stabilized you will be taken off the suboxone slowly. This is so you don’t crash and burn. Also don’t stay on Suboxone any longer than you need to be. It’s there to help you get off the painkillers, not for recreation. Colton, if you get my report how to get off painkillers, you will find all you need to know to get Suboxone, and there’s free drug card in there as well, to help you with the cost of suboxone. I want to quit taking pain pills, it has been 1 week and I have only had 2 and a half 10mg. I was taking an avg of 60 to 80 mg a day4 3yrs. I’m doing it cold turkey, how long do the withdrawl symptoms last? Is there anything to help that is otc?